You Are Here: Home > Huge Savings This Month! 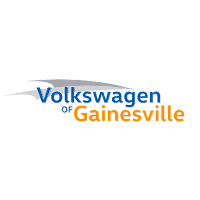 Volkswagen of Gainesville wants to see you in a new Volkswagen this month! So much so that we’ve packed our lot full of great incentives on new Volkswagen models. All you have to do is pick the one you want and drive away for less! *Applies to 2018 Volkswagen Jetta 1.4T S w/ manual transmission. 36-month lease with $2,999 due at signing and approved credit through Volkswagen Credit. No security deposit required. Additional charges may apply at lease termination. Price is plus sales tax, $184.00 private tag agency fee and titling, any dealer installed accessories and dealer service fee of $899, which represents cost and profits to the selling dealer for items such as cleaning, inspecting, adjusting new vehicles and preparing documents related to the sale. See dealer for details. Expires 02/28/18. *Applies to 2018 Volkswagen Passat 2.0T S w/ auto transmission. 36-month lease with $2,999 due at signing and approved credit through Volkswagen Credit. No security deposit required. Additional charges may apply at lease termination. Price is plus sales tax, $184.00 private tag agency fee and titling, any dealer installed accessories and dealer service fee of $899, which represents cost and profits to the selling dealer for items such as cleaning, inspecting, adjusting new vehicles and preparing documents related to the sale. See dealer for details. Expires 02/28/18. *Applies to 2018 Volkswagen Tiguan 2.0T S w/ auto transmission. 36-month lease with $2,999 due at signing and approved credit through Volkswagen Credit. No security deposit required. Additional charges may apply at lease termination. Price is plus sales tax, $184.00 private tag agency fee and titling, any dealer installed accessories and dealer service fee of $899, which represents cost and profits to the selling dealer for items such as cleaning, inspecting, adjusting new vehicles and preparing documents related to the sale. See dealer for details. Expires 02/28/18. Don’t miss out on these savings! They are only for a limited time, so hurry in to Volkswagen of Gainesville immediately to secure your savings now!